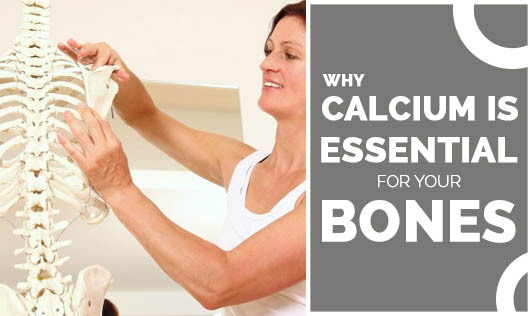 Bones are made up of the mineral, calcium phosphate that makes up most of their mass. But, this calcium has to be supplied by our diet. In order to meet the calcium requirements of our body, we need to include calcium-rich foods in our diet. Sadly, three out of four adults fail to meet the current recommended daily intake of calcium. And, it is estimated that more than 80% of young women and teenagers are not consuming enough calcium. Bone growth requires a good amount of calcium starting from the teen years and extending up to the age of 35. Your diet has to supply enough calcium to your body for deposition in the bones. Sometimes, supplements may be necessary. In some conditions, the absorption of calcium may be reduced, and this could cause a deficiency. Too less or too much calcium- both these conditions are not good for health. Excessive calcium can lead to plaque formation in the arteries, calcification of tissues, and interference with the absorption of other nutrients like iron and zinc. The National Academy of Science thus recommends that individuals should not consume more than 1,000 mg of calcium per day from supplements. The key is to get the calcium into your bones by including calcium-rich foods in your diet. Some of the calcium-rich foods are finger millet (ragi), dark green leafy vegetables, sardines, salmon, and calcium-fortified foods such as soy milk, breakfast cereals, and breakfast bars can also help in calcium absorption. Weight-bearing physical activity also helps in strengthening bones as does regular physical activity such as walking, running, dancing, tennis, and even gardening will help maintain strong bones.